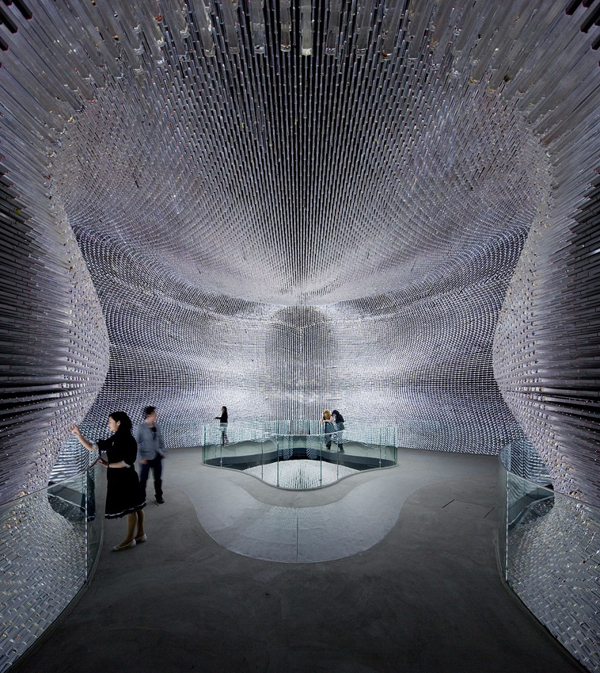 Have you heard about the award winning Seed Cathedral created by Heatherwick Studio for the Shanghai Expo in 2010? 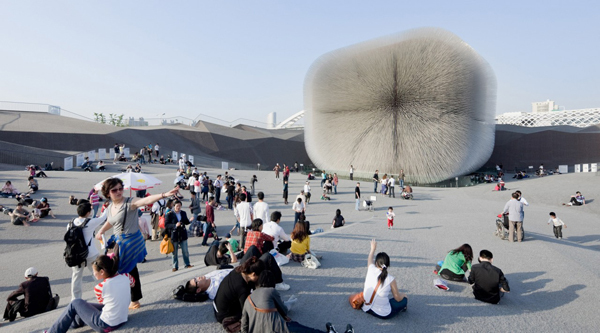 I came across it recently and it blew my mind along with all of the other work from Thomas Heatherwick's Studio. For the Seed Cathedral they showed off thousands and thousands of seeds collected by the Royal Botanical Gardens in these stunning transparent acrylic rods that glowed and moved with the elements. How breathtaking and what an undertaking! 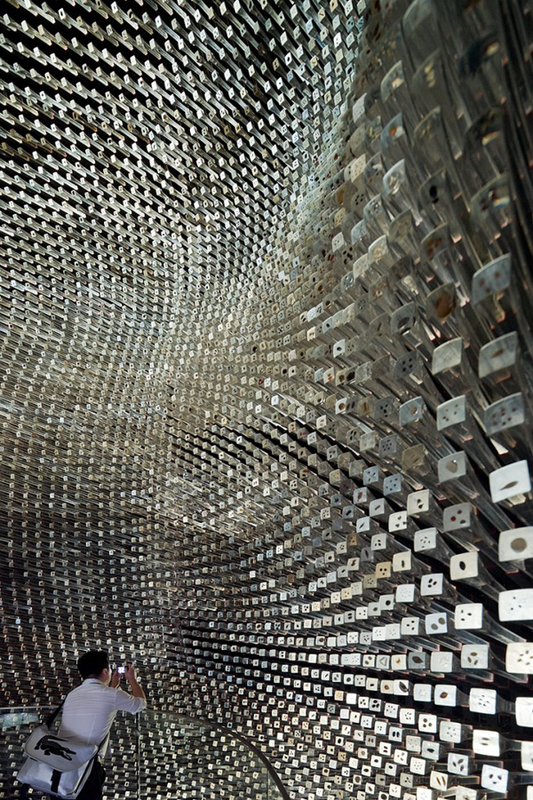 Since the Expo, the sculpture has been dismantled but it is remarkable to look back at the shots and video clips. It is truly inspiring work. I really want to go see this in person. It looks absolutely breath taking in the photos, I can't imagine how moving it would be when you're there! 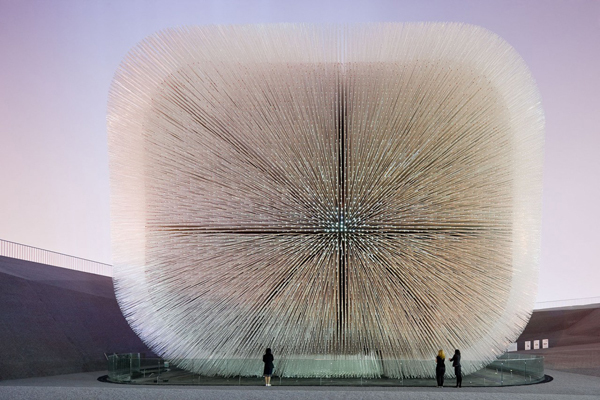 There's a great TED Talk on Heatherwick, the Seed Cathedral and some of his other projects: http://www.ted.com/talks/thomas_heatherwick.html. I highly recommend it! Oh my goodness, if I could only be there. wow, this is so fascinating! it would be amazing to see this in person! That is amazing... I just love sheer scale of it and how beautiful it is!! Oh my gosh that is just amazing!!!! What an architectural wonder! Whoa! This is absolutely amazing. A sculpture, a building and an exhibition in one. Very cool. i've never heard of this place. it looks amazing! wow. Just incredible. I wish it was to be a permanent piece. I'm glad to know about the TED Talk; I'll have to give it a watch. Love it! Is one of the most amazing things that I heard about. This is so so neat! Wish I had known about this & visited when I was in China. If it's this stunning to see in pictures I can only imagine how amazing it is to see in real life. wow, this is so fascinating and it looks amazing!